Katmandu, with Martyn Lundy on the right. Pre Kamtandu band Zenith, circa 1976. 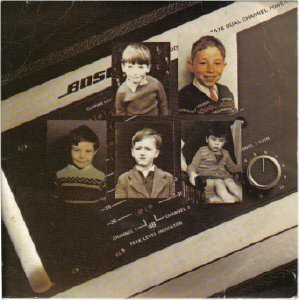 Artful new wave from Belfast who inexplicably failed to make the breakthrough despite heavy interest from several record labels. 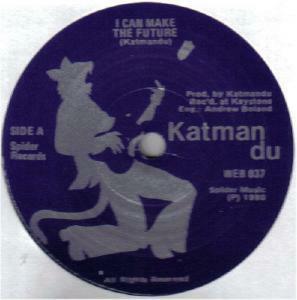 Katmandu was formed by Martyn Lundy in Belfast. The band's history stretches back to 1974 when they were originally known as Zenith and included his (late) cousin Tommy Lundyon guitar and Brian 'Shorty' O'Kane on bass. When Shorty left to form the Heartbeats, his replacement was Larry Robertson (ex The New Shure.) for the 1975-76 lineup which was fronted by Jerome ?. Martyn Lundy played drums in these early line-ups. The band split due to friction between the Lundy cousins. Larry Robertson rejoined The New Shure. 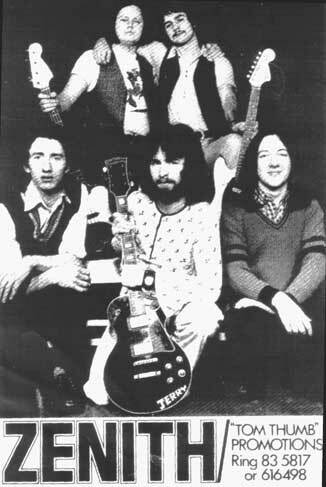 Larry Robertson and his brother Tony had been in The New Shure along with Iggy Ward & Peter McKinney, who'd also been in popular Belfast rock band Squinter Dan (formed in 1975). Shorty O'Kane & Michael Johnston had both played in Squinter Dan. The band changed it's name to Dirtywork in 1976 and released a reggae version of 'The Rose of Tralee' on 45 in the same year. 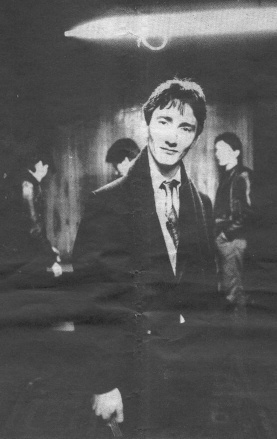 By 1976 the Dirtywork lineup besides Ward & McKinney was composed of ex Katmandu members including Martyn Lundy (now a frontman in lead locals), Tommy Lundy (rhythm guitar), Ronan O'Callaghan (Keyboards) and Shorty O'Kane (bass). Martyn left the band and re-formed a Belfast-based Katmandu in 1978, when the rest of the band took up an offer from Dublin band manager Louis Walsh to become a backing band for Irish singer Tony Kenny. 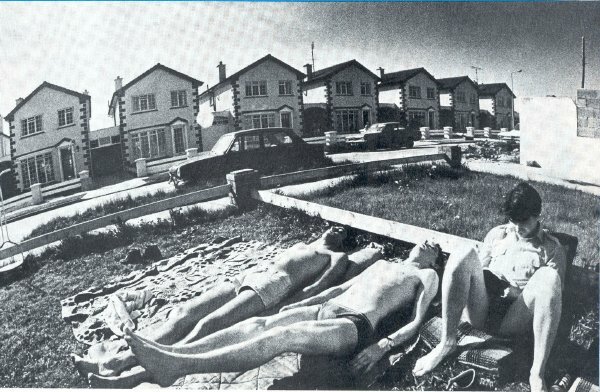 When The Tony Kenny Band split in 1980, Tommy Lundy & Ronan O'Callaghan joined Crackers who quickly became The Crack and Shorty O'Kane joined Dublin based Rock'n'Roll revival band Daddy Cool & The Lollipops. Iggy Ward & Peter McKinney returned to Belfast, teaming up once again with Marty Lundy as Katmandu, this time joined by Trevor Hutchinson on bass & Pat Fitzpatrick on keyboards. This finalised the familiar line-up and there soon followed a move back to Dublin by the band - in the hope of making a breakthrough. 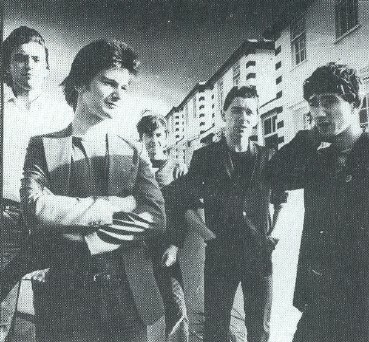 Katmandu were the top live band on the Dublin club scene in 1980. They were reknowned for their live Bowie and Roxy Music covers though came in for some (unfair) criticism for including them in their live set. They participated in the Tramore Band Competition in August 1980 which was won by The Fuze. The Pop Mecanics opened for Katmandu at their regular Sunday night gig at the Baggot in 1981(?). They became friends and when ex Pop Mecanics leader Pat Dunne recorded a 3-song solo session for Dave Fanning's RTE Radio show in 1983 he was backed by Katmandu minus Martyn Lundy. 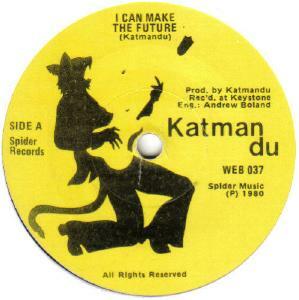 They released a single on the local Spider label the same year. 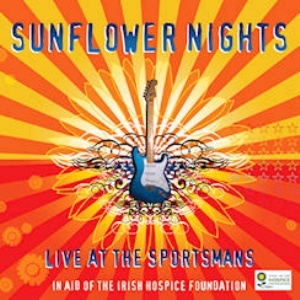 It is superb and the band attracted much interest from the major labels. 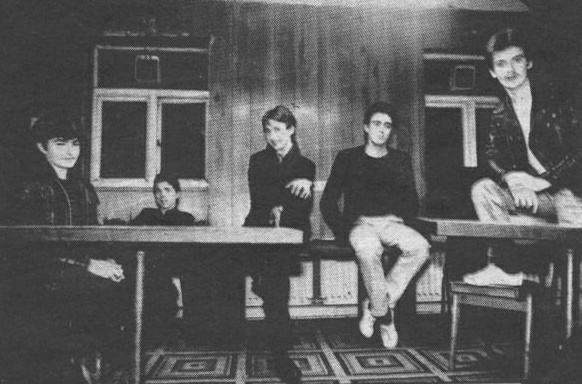 A follow-up single was recorded in early 1981 for one of the majors (the band's preferred choice of A-side was "Just Trying To Get My Act Together") but it never materialised. In fact nothing came of the contact with the majors and the lineup splintered. Katmandu moved back to Belfast. A second single did emerge unexpectedly on a tiny Californian label in 1982. How Katmandu came to be in Fountain Valley, northern California in 1982 I simply don't know. Here they met one John 'Doc' Bart, a singer-songwriter who'd already recorded a semi-controversial single back in 1980 titled 'Ayatollah' / 'Remember Iran'. This was banned in some quarters and has since gained notoriety in some punk/DIY collecting circles. Bart had his own label DRA Records. 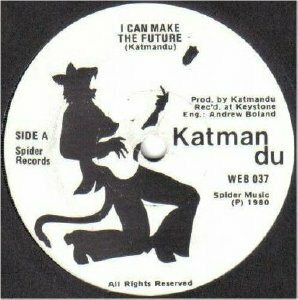 He teamed up with Katmandu and recorded and produced a single with them, Katmandu backing him on the A-side 'Coma' while providing the B-side 'Get My Act Together' themselves. 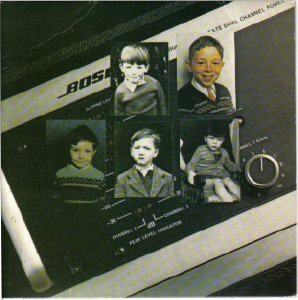 This single was played on Irish radio and may have been playlisted by RTE, but copies are very hard to find. 'Get My Act Together' is excellent. Katmandu continue to perform to this day. Many musicians have been through the ranks of the band. Trevor Hutchinson & Peter McKinney played with The Waterboys in 1986 and recorded with them at Windmill Lane for a BP Fallon Orchestra session. Peter McKinney later joined The Fountainhead (1986-87) and The 4 Of Us. Belfast bassist Nick Scott later joined the band, eventually leaving to join Van Morrison's band - and he still gigs with Martyn and the boys from time to time. Drummer John Lee of Blue Steam and The Tearjerkers was with the band at one point. Shorty O'Kane also fronted Shorty & The Heartbeats. There are many unreleased studio recordings which those who've heard them claim are far superior to the single. Titles include "Don't Let Me Stop You", "Complicated Game", "I'm Glad I'm Me", "Money Is The Magic Wand" and "Gimme The Gimmick" among many others. This single probably sold quite well and the label variations suggest it was reissued, probably more than once. The slight colour differences noticeable in the cover are most likely due to unintentional printing variations. Both sides produced by Doc Bart.